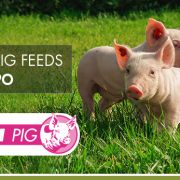 AFGRI Pig Feeds made a welcome impression with their stand at the SAPPO Symposium, hosted by the South African Pork Producers Organisation on the 5th and 6th of September. All the major role players in the pork industry were gathered at this prestigious event that marked the confidence of an industry on the rise. The total tonnage of pork produced this year was at a 1000 ton higher than in 2016. This is in spite of the biggest drought recorded in 45 years and thereby underpinning the trend that the per capita consumption per person per year is increasing. Unlike the poultry industry that is in a declining phase, the pig industry is expanding year on year and this trend is likely to continue for the next 3 to 5 years.The optimistic atmosphere was underscored by a well-planned agenda on current and relevant topics, commencing on day one with the theme: “Plan Around the Obstacles”, with prominent figures in the industry attending this exciting day’s programme. The theme for day two was “Let’s Talk Pork”, presented by various international and local speakers. One of the favourite speakers was Prof Roland Schulze, Senior Research Associate at the University of KZN, with his topic: “Challenges within the South African pork industry as we lead into a future climate”. 1. Dr Crots in action, passionately discussing technical details with a visitor. 2. Left to right: AFGRI Pig Feed Team: Willem Miller, Dr. Franscois Crots, Liezel van Bergen, Jan Steenkamp, Jacques Cloete and Mario Marais. 3. 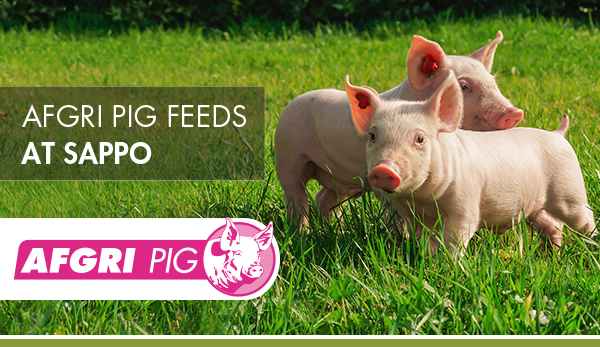 The AFGRI Pig Feed exhibition stand at SAPPO. 4. Nothing like a cappuccino to start off business talks. 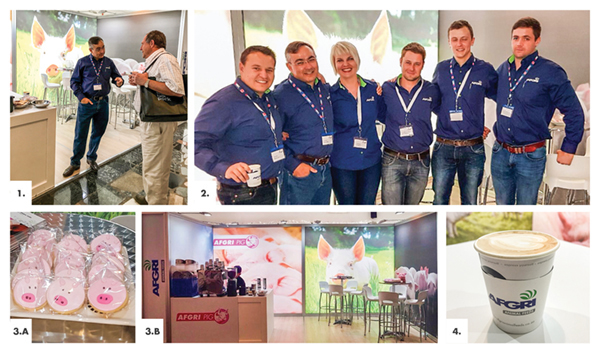 AFGRI Pig’s dynamic team of technical advisors, led by Dr. Franscois Crots, attended to the delegates’ questions and enquiries in their fresh professional look – dressed in brand new AFGRI lounge shirts, the team received numerous compliments on their polished image and professional stand. Farmers and delegates were welcomed at AFGRI’s stand with freshly brewed cappuccinos and a relaxed atmosphere perfect for business discussions. The AFGRI Pig Technical Team engaged in many in-depth discussions about pork productions and feed formulations. The symposium closed on a heartening note – SAPPO’s newly appointed CEO, Johann Kotzé, proclaimed that since food security is a burning issue not only in South Africa but worldwide, one of SAPPO’s first steps toward procuring food security would be to promote pork production in South Africa by 45% over the next five years. Although not an easy task, given a variety of economic constraints, it is achievable with a dedicated strategic plan in place.